Luxury holiday destination brand, Club Med, is increasing marketing spend on social media channels in a bid to further drive community engagement, according to its digital strategy leader. The comment was made following the brand’s latest social media crowdsourcing program on Facebook, which gives loyal followers the opportunity to help design Club Med’s latest snow resort in France. 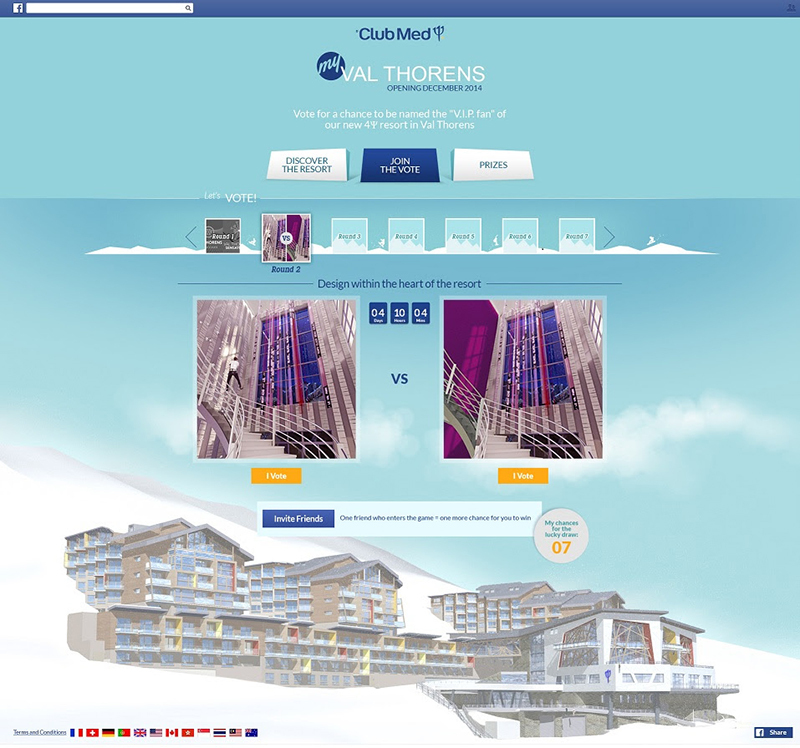 The three-month Facebook campaign invites fans to have a say on the future Val Thorens 4 Strident Snow Resort each week until April by voting on specific decisions relating to its branding and design features. The new location is due to open in December 2014. In the first week starting 27 January, Facebook followers were able to choose a name of the future resort, and opted for ‘Val Thorens Sensations’. For the second week round, they could decide on a design feature within the resort. This week, the fourth round, sees Club Med's Facebook fans voting for their favourite collector T-shirt 45. Participants go in the running for two passes to the resort’s inauguration as well as a week’s holiday onsite and the honour of being ‘VIP fan’. Julien Lebreton, who’s in charge of Club Med’s digital strategy, said the campaign was designed to allow the brand to get closer to its fans. “Club Med is by essence a community brand, and we wanted to bring to life this community, online and on social networks,” she told CMO. The ‘My Val Thorens’ Facebook page is available in five languages across 12 countries and was developed by social media agency, KRDS. Lebreton said it was the largest Facebook campaign launched by Club Med to date. It is also using Twitter and Instagram to promote the app by posting publications. “Facebook is the platform with the largest number of users in the world, and it is the one that gathers the most fans and generates the most conversations,” Lebreton continued. “Considering the multi-country characteristics of the app, the platform definitely seemed like the ideal option. Lebreton said social networks lie at the heart of the group’s strategy and confirmed budget for social channel campaigns had increased in recent years.